Welcome to the Wraxall & Failand Parish Council. This website has been designed to keep you informed about what’s going on in your parish and the work of the council. If you would like to know when minutes are published or changes are made to this site, simply enter your name and email address in the box on the left of this page and we will keep you up to date by sending you an email. You can report or request a whole range of council services from waste collection to potholes by using the “Council Connect” button on the left. You can view the North Somerset Community Resilience website by clicking on the button to the right. Add this page to your web browser favourites and come back, visit us regularly to keep up to date with what's going on in your parish. Please vote for your new Councillors. Please visit this website, which offers information about the Bristol Airport expansion plan, and how to comment about it. The notice covers a period of 18 months starting 20th March 2019, but the work is anticipated to last for no longer than ten days. This closure will not necessarily start on 20th March. During this period of closure the Parish Council is planning to hold a litter pick on the hill. If anyone would like to join in with this very worthwhile task then please contact the Clerk on clerk@wraxallandfailand-pc.gov.uk or 07741461982. The four yearly Parish Council elections will be taking place in May 2019. For full details of the election, and how to apply to become a Parish Councillor please see this circulation from North Somerset Council. If you have any questions regarding this circulation please contact NSC directly using the details on the circulation. Anyone over the age of 18 years who has lived, worked or owned land in the Parish, or within three miles of the Parish, for at least 12 months may apply to become a Councillor. The Good Councillor Guide gives a useful summary of the roles and responsibilities of becoming a Parish Councillor. It can be viewed here. The National Association of Local Councils has published a short video on the election. Please take a few seconds to view it. Everyone is encouraged to apply to become a Parish Councillor. For an informal chat about this please contact the Parish Clerk, Tony Jay on Clerk@wraxallandfailand-pc.gov.uk or 07741461982. Following the resignation of Tom Sage as a Councillor, a Casual Vacancy has arisen. The notice can be found here. Tom has been a Councillor for 20 years and is thanked for his commitment to the community during this period. Own land in the Parish. Anyone who has ever been made bankrupt or given a prison sentence of three months or more (including a suspended sentence) cannot apply. Any interested person should email the Clerk in the first instance (clerk@wraxallandfailand-pc.gov.uk), including their telephone number, expressing their interest. The Clerk will then make contact to outline the role of Councillor. The new Councillor will be co-opted to the Council at the next Parish Council meeting on 12th February 2019. Informal chats will take place on 6th February, when the Councillor to be co-opted will be chosen. Applications must be recieved by the Clerk prior to Friday 25th January. The Parish Council's response has been submitted, and can be viewed here. Wrington Parish Council are hosting two meetings to discuss the local implications of the expansion plans. The meetings will be in All Saints Church, Wrington at 2pm on Saturday 12th January and 7.30pm on Tuesday 15th January. All Councillors and residents of Parishes local to the airport are invited to attend. Full details can be found here. The published agenda for the Parish Council meeting taking place at 7.30pm on Tuesday 8th January 2019 in the Cross Tree Centre states that prior to the meeting Gigaclear will be giving a briefing regarding their plans for the installation of high speed fibre cables throughout Wraxall and Failand. Gigaclear are no longer able to attend on 8th January, but will give their briefing at the Parish Council meeting in the Cross Tree Centre on Tuesday 12th February 2019. There will be an opportunity for Councillors, local residents and landowners to ask questions. The time that the briefing commences will be published closer to the date. North Somerset Council invites everyone to comment upon their plan. This consultation includes possible extensions to Nailsea and Backwell. The details of the plan, and how to respond, can be found on this poster. There is a mistake in the certificate as Wraxall has been mis-spelt Wraxhall. Please contact the Clerk if you have any queiries about the report. We have met with the overall project manager for our parish, Dan Longworthy-Smith. If you have questions about the route Gigaclear are taking, you are welcome to email Dan at “dan.langworthy-smith@gigaclear.com". Dan spends much of his time on the road and in meetings so if you would like to talk to Gigaclear about any aspect of the rollout in our area, please call Lauren Goddard on 01865 591153. Lauren is based in Gigaclear HQ and has electronic access to all of the route maps for our parish. You can find out more about about the technology Gigaclear are installing here. The installation of a new fibre network within the parish is positive news, however Gigaclear have been very poor in communicating their plans. We have been contacted by a number of home owners that have been sent way-leaves agreements, contracts allowing Gigaclear to install and maintain equipment on their land. These are legal agreements and the home owners contacting the council have been unsure how to proceed. The Parish Council would recommend that you do not sign any paperwork until you have had legal advice. Most home insurance policies come with a legal helpline, check your policy and give them a call. Following the recent water contamination scare, Bristol Water are inviting vulnerable people to register for information about key services. Wraxall and Failand Parish Council has submitted it's comments regarding the Joint Spatial Plan. These comments will be discussed at the Parish Council meeting on 9th January, and can be viewed here. There is no development proposed in our parish or any changes to the Green Belt. However, there are major proposals for Nailsea that include 2,575 new homes in an urban extension to the south west of the town by 2036 and a further 725 homes beyond then. Nailsea Town Council has rejected this proposal and requested a Green Belt review; they have also suggested that the land to north and east of Nailsea (in our parish) be used for development and a link road. W&F PC’s view on development in this part of our parish is outlined in the November 2016 notice below. There is a public meeting to discuss the JSP in the Scotch Horn Leisure Centre at 7.45 pm on Friday 15 December, which has been organised by James Tonkin, the District Councillor for Nailsea West End ward. Residents may wish to attend. All residents are urged to consider responding to the consultation, and express their views. The consultation period runs until 10 January 2018.All residents are urged to consider responding to the consultation, and expressing their views. W&F PC’s response to the consultation will be submitted on 8 January 2018 and will be noted at the Parish Council meeting on 9 January. A copy will be published on this website. Wraxall and Failand Parish Council and FRAS held a public meeting at Failand Village Hall on Monday 23rd October 2017. The PowerPoint presentations can be viewed here. The meeting notes can be viewed here. The Police now has a dedicated text-line for non-urgent information relating to rural crime. This is 07492-888109. Members of the public are encouraged to use this number to provide information: for example, about people or vehicles behaving suspiciously in the rural community, and potential stolen goods. It should not be used to report crime or to call for urgent police assistance. It is not monitored 24/7. Alternatively, crime can be reported on the Avon and Somerset Police website. Or, for a crime that requires immediate police attendance, dial 999. Information can also be passed on anonymously via Crimestoppers on 0800-555111. 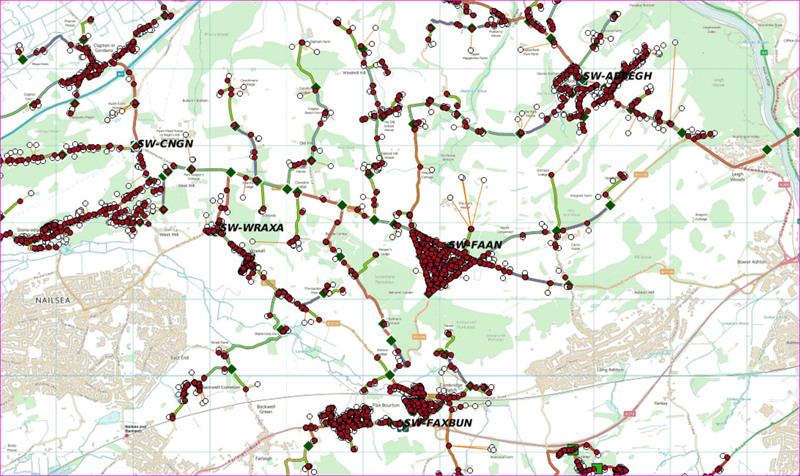 Wraxall and Failand Parish Council (WFPC) are aware that North Somerset Council (NSC) received a representation from Land Value Alliances (LVA) on the March 2016 Site Allocation Plan requesting that land within the parish of Wraxall, to the north east of Nailsea and shown edged in red on the plan on this link, be included as a residential/mixed use allocation. The proposal is for approximately 600 houses, which to put into perspective is double the size of The Elms. A copy of LVA's representation is in this link. Given that, in the view of the Planning Inspectorate, NSC are struggling to meet the 5 year housing supply and that Nailsea Town Council is pressing for Green Belt boundaries to be reviewed (not just to the NE of Nailsea), it is possible that the Green Belt argument will not in itself be sufficient to prevent this proposed development. An article in the North Somerset Times (NST) states that LVA "will soon be applying for planning permission to build the properties on the 25 hectare site, with two hectares set aside for employment and the possibility of a bypass." Residents are encouraged to complete the online survey sponsored by the paper at this link. If residents feel strongly that there should be a right of appeal for building on green field land, then Civic Voice, the national charity for the civic movement in England, is encouraging you to sign the petition to 'give communities back the right to decide where houses are built.' This petition calls for a parliamentary debate on government Housing and Planning policy over building on greenfield land and seeks community right of appeal on planning decisions and the removal of the presumption in favour of sustainable development. Update 1 March 2017 The petition has reached 10,000 signatures and has received a government response. The government does not believe that a right of appeal against the grant of planning permission for communities is necessary. The full response to this petition can be seen at this link. A Joint Spatial Plan (JSP) and Joint Transport Strategy (JTS) are being developed by Bath and North East Somerset Council, Bristol City Council, North Somerset Council and South Gloucestershire Council to provide a strategic, overarching vision and framework to help deliver the number of new homes, land for employment purposes and the supporting infrastructure that it is anticipated will be needed over the next 20 years across the West of England. Residents are encouraged to join in the consultation process and submit their views before 19 December 2016 using this link. The main issues, which can affect our parish, are the proposed Town Expansion of Nailsea together with a new spur from the motorway and the assessment of the Green Belt. Relevant extracts and maps from the supporting documents to the Emerging Spatial Strategy can be found here. WFPC Parish Council will be formulating comments. Residents can help by letting us know your views by clicking on this link. A new Village Agent has recently been appointed for Failand, Wraxall and the surrounding rural villages. Sarah Friend is keen to make contact with anyone aged 50 or over and help them in any way that she can to maintain their independence, provide advice and assist with practical issues. More information about Sarah and her role can be found on our Village Agent page, where you will also find Sarah's contact details. Do get in touch if you think Sarah might be able to help you. Community Connect is a service for people aged over 50, and promotes independence and choice by helping them access services through the provision of information, advice and support, both generally and through village agents. There is more information on the Village Agent page, where you can download leaflets and find contact details. The contract for the provision of Community Health Services in North Somerset is being re-procured to decide which organisation will provide services from April 2016. The Consultation Phase (from 2 Feb to 24 Apr 2015) has concluded, the Feedback Report can be viewed on this link. Over the past couple of weeks there has been an increase in burglaries across Somerset. Incidents have occurred during both daytime and during darkness hours. With the promise of better weather, please ensure that properties are kept secure whenever possible. Whether properties are being left for short periods or whilst on holiday, or even if you are going into the garden - always make sure that accessible windows and doors are kept closed and locked. Another area of concern is that of theft from motor vehicles. Many of these incidents can be prevented by ensuring that vehicles are always kept secure, windows are closed and items of value removed (or at least put out of sight). An update on the progress has been posted on the appropriate community page of our website - link. A fraud awareness campaign has been launched in the Avon and Somerset area today (20 October) with the help of local residents to target doorstep fraud as well as phone and online scams. The campaign, a Home Office initiative piloted here and supported by the police, is aimed particularly at those aged over 60 following research showing this age group is particularly vulnerable to fraudsters. Figures from Action Fraud show that in the Avon and Somerset area last year local residents aged over 60 lost more than £5million as a result of this type of offence. For further details see our Neighbourhood Watch page under the Community tab and click this link. Avon and Somerset Police are therefore keen for as many people as possible to attend a free 2 hour session to improve their driving awareness. The sessions are available in Keynsham, Bath, Filton and Weston-super-Mare, and are bookable for 17-24 year olds and for those aged 25 and over. This new and potentially life-saving session is available to all drivers, to see the dates on offer and to book a place visit www.roadsmart.org . Connecting Devon and Somerset (CDS) has been set up to deliver next generation broadband infrastructure to areas where the market has failed to invest. They have re-launched their website, which is more informative, and can be accessed by clicking on this link. The interactive map shows that most of the rural parish is ‘under evaluation’, although parts of Lower Failand are ‘out of the programme’. Initial survey work starts this Autumn across North Somerset; this will identify what needs doing and where upgrades will take place on a rolling programme over the next 2 to 3 years. This programme will be influenced by the response to their survey carried out a few years ago and by the enthusiasm for improved broadband – so if you didn’t complete the survey and wish to express a view, then you can lobby CDS via the ‘contact us’ section on their website. 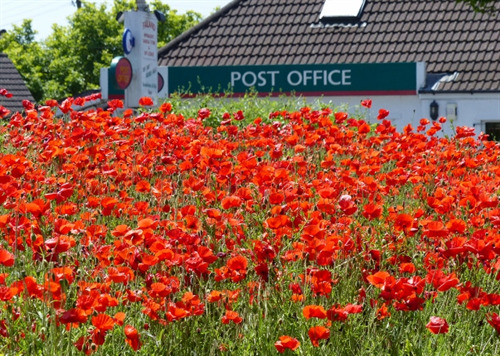 This national campaign, which originated in the Greenhithe and Swanscombe Branch of the Legion, is asking the public and local authorities to purchase Flanders poppy seeds to plant on their own land. 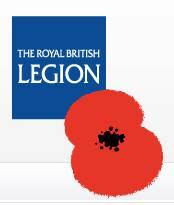 The aim of the campaign is to cover the UK with poppies during the centenary period in commemoration of all those who lost their lives in the First World War. The Parish Council agreed to support this; the Clerk provided seeds at the meeting in June. However, coincidentally poppies have flowered in the fields to the north of Failand as shown in the adjacent picture taken by Cllr Tom Sage. The landowner advises that he did not plant any seeds but they came up naturally, as they can lie dormant for many years and only germinate when the conditions are right. Police are once again reminding people to be alert to phone scams which involves bogus "police officers" phoning people and trying to persuade them to provide bank card details, before sending 'couriers' or 'colleagues' to collect the cards. The Senior Siren is the bi-monthly magazine of the Avon & Somerset Police Senior Citizen Liaison Team and be downloaded from the website on this link. It’s packed with lifestyle and safety advice for the older adult population. The interview in this edition features the world renowned scientist, Dr Lyn Evans CBE, project director of the Large Hadron Collider at the CERN facility in Geneva. Priorities for Failand & Wraxall areas continue to be Garage and Shed breaks. One incident that occurred recently in Somerset came to light because the taxi driver was suspicous about the package he was asked to collect and take to London. He opened the package to find several thousand pounds in cash and immediately called the police. Police wish to emphasise that they would never contact people by telephone and ask for their bank details, or for them to take cash from their bank. Likewise organisations such as banks, utilities etc would never ask for such information. You should never give any personal details to strangers over the phone, by Email/internet or at the door. It is important that vulnerable members of our communities are reminded of this.